Review: LEAH ON THE OFFBEAT – Or should I say, Kathy on the Offbeat? If you don’t know yet how I cannot shut up about this little piece of perfection, you must’ve not been on any of my social media. I love Leah, I am in love with Leah and I’m going to tell you why. Or, I will if you have read Simon vs. The Homo Sapiens Agenda. If you haven’t, abort mission and go read it first before diving into this review because it is so worth it! 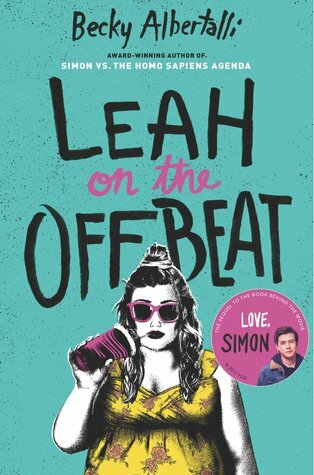 Leah on the Offbeat is set one year after Simon vs. the Homo Sapiens Agenda. This means that we get to find out what happened to our very special and beloved Simon! Not to mention Abby and Nick. I won’t be talking about that in a lot of detail though, because I really want all of you to enjoy Simon vs. if you haven’t gotten the chance to read it yet. I just wanted to mention that I love seeing how all our characters are doing a year later, how we’re still getting updates on their lives. After reading Simon vs. I can easily say I had such high expectations for Leah on the Offbeat. Knowing we’d get to know a bisexual, plus-sized female better, I was simply stoked and eagerly waiting to get my hands on a copy. Actually, high expectations might be an understatement. I wanted Leah to be perfection and… You know what? It is. This novel is everything I expected it to be and more. I wasn’t even decently in the story and I’d already snorted at least two times, laughed out loud three times and was all queasy while reading too. Leah herself is such a relateable character to me. She’s sassy, sarcastic and just overall amazing. Being a bisexual, plus-sized female myself – not to mention my sarcastic tendencies – I could see so much of myself in her. I loved how she got frustrated over people treating her as straight because, as we all know, straight is the norm – unfortunately. The fact that she’s plus-sized isn’t even talked about in an obvious way. Sure, it’s mentioned by Leah a couple of times but focused on. It’s simply accepted as a fact, as if there isn’t anything wrong with that. There simply is nothing wrong with that! I LOVE IT. Then we have two characters we met during Simon vs.: Abby and Nick. Nick is still… well, Nick. Although I love his presence in this novel, I do feel like there might’ve been a bit more of him. But Abby? Honestly, I knew I would love Abby more and more if I got to know her better and I did! Garrett… Well, let’s just say he’s one of those typical loud and obnoxious guys who still manages to snag a little piece of my heart. When he wants something, he goes for it. Although it does give him a bit of an ignorant vibe at times. Oh, and a fun thing that I just need to mention? The Harry Potter-references have not left the building! There’s even a Six of Crows-reference! Like, can this get any more perfect?! I honestly highly doubt it because I have nothing bad to say about this novel. Not one thing. I cannot wait to hold my physical copy and devour it all over again. 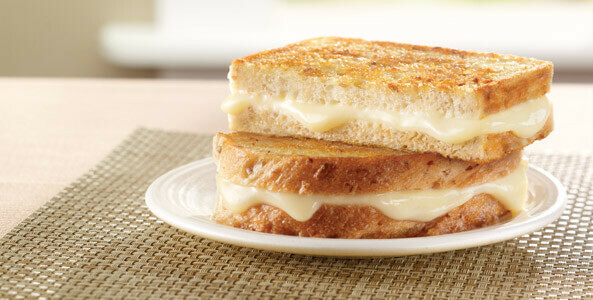 When it comes to the munches, I’m sharing a pretty image of a Googled buttery, grilled cheese sandwich! I know these are easy to make yourself but the thing is… Those are way too greasy for me and my stomach can’t handle them so I just didn’t bother? That and I didn’t have the right cheese in the fridge, haha. Have you ever felt so connected to a character that you could hardly believe it isn’t actually you the book is about? If not, what kind of character would you be? A combination of characters we already know? Next ›The Exact Opposite of Okay might just be PERFECT. Ahh man I’ve already ordered Leah but I’m going to borrow Simon from a friend tomorrow so I’m SO excited to start it! !